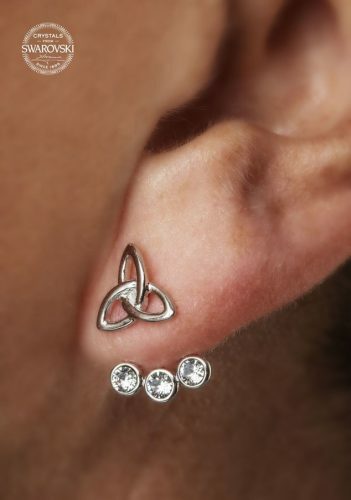 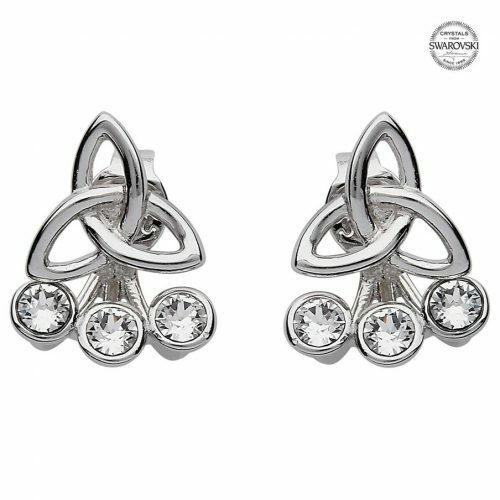 Beautiful Sterling Silver Trinity Knot earrings with extra special earring jackets which feature three dazzling white Swarovski® crystals. 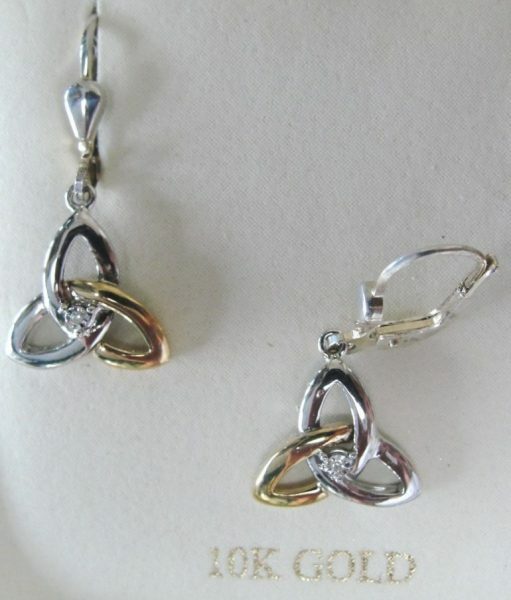 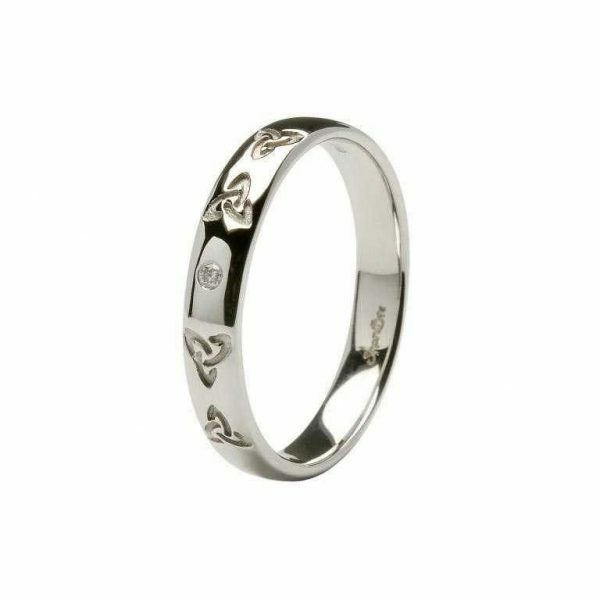 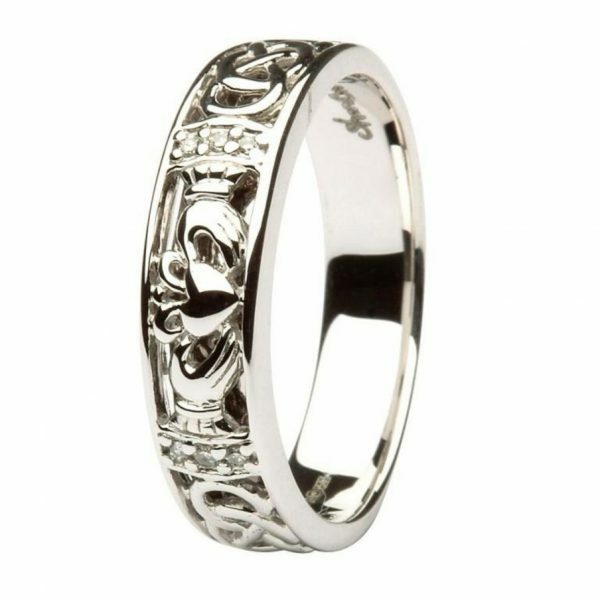 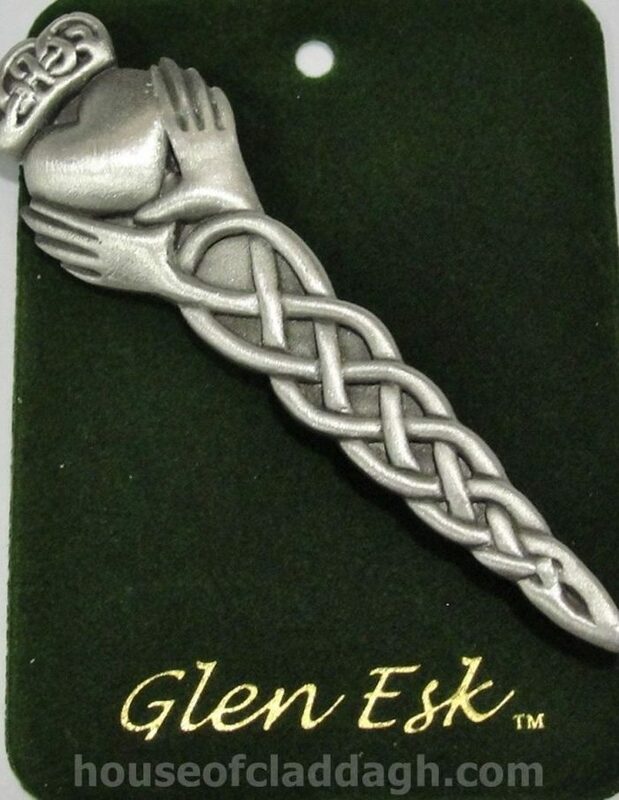 They serve as a wonderful way to demonstrate your Irish Celtic identity. 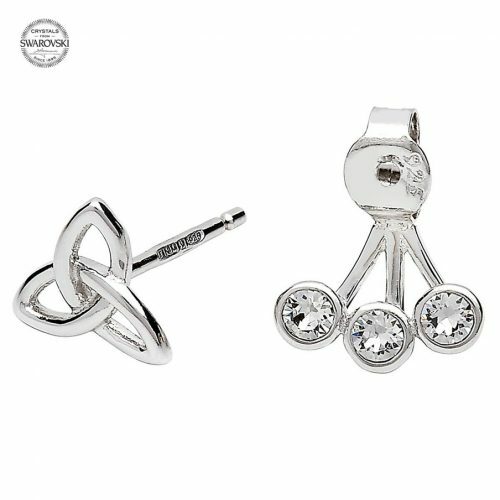 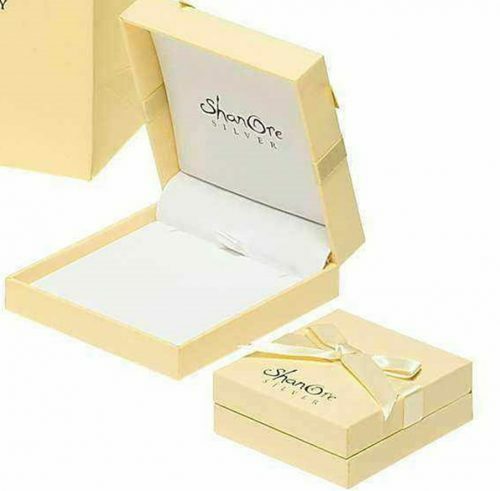 Wear them every day or show their sparkle on any special occasion.